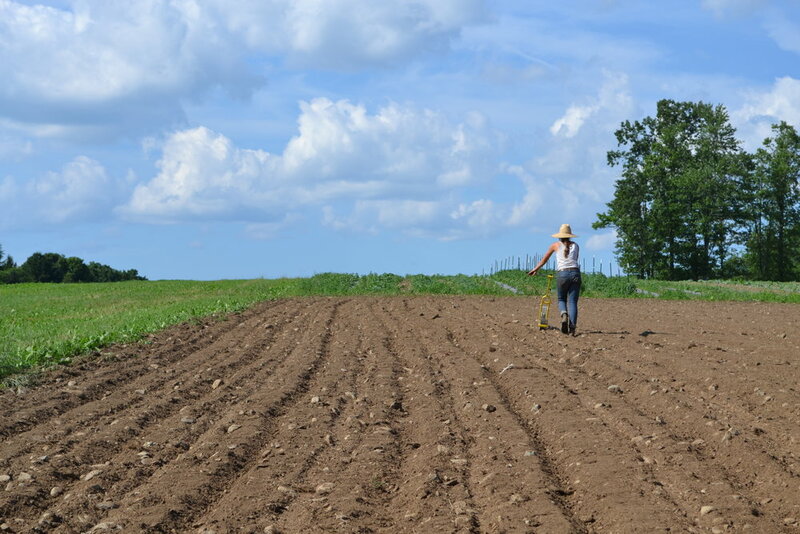 Small farms working together to bring you the best of Maine's harvest. Daybreak Growers Alliance is a group of small Maine farms working together to deliver fresh, nutritious, diverse offerings to individuals and families in Maine. By working together and making the most of each farm's strengths, Daybreak Growers Alliance is able to provide a wide-ranging selection of fresh, nutritious products for your table. We offer convenient drop-off locations, and easy and flexible online ordering. Our customers get the benefits of high quality direct-from-the-farm food in portions to suit their household's preferences and weekly needs. Daybreak Growers Alliance offers a selection of in-season farm shares of produce, dairy, meat, bread and flowers provided directly by small farms and food producers in Maine. Learn more about the farms of Daybreak Growers Alliance. Customers go to our online ordering platform, and select the products they'd like to have delivered to their workplace or public community drop-off point. Learn more about our Delivery Locations. Our system is easy, flexible and adaptable! We offer weekly or bi-weekly delivery of a wide variety of farm shares, and a payment plan to make shares more accessible for everybody. Learn more about our Share Program and Policies. We deliver to locations throughout Southern and Central Maine. Current public delivery sites are located in the towns of Portland, Waterville, Belfast, Albion, and Knox. Workplace and private drop off sites are located throughout the region. Learn more. Can't find a convenient drop-off location near you? We can help you establish a new delivery site for your community or workplace! Contact us to set up delivery to your workplace or community hub in Central or Southern Maine. If you are near our current delivery route and have 10 or more interested shareholders, we'll happily add you on! See this blog post from wellable for more info about farm shares for corporate offices. Please read our Shareholder Policy for details on ordering, cancellations, and more. Daybreak Growers Alliance guarantees the highest quality and freshness. If for any reason, you are not happy, please contact us at farmers@daybreakgroweralliance.com. We will be happy to give you a refund or credit for any product or order that does not meet your standards. Please contact us within two weeks of your purchase to receive a refund. Your participation in Daybreak Growers Alliance Share program reflects your commitment to help grow and strengthen the Maine's local food system. Have questions about ordering? Want to arrange a delivery location? Please contact us!